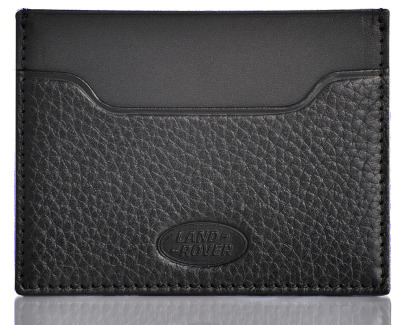 This leather card holder has multiple card sections for credit card storage and features soft and supple fine and heavy grained black leather with subtle Land Rover branding. 100% leather. A premium single piece leather card holder with stitching detail.